A lot has happened but the main news is we have our first centurion riders: Phill Cloke. and Jack Peterson. both entered the Ton of Tons roll of honour on the same day in week 32. An outstanding achievement with Phill adding 21 in July alone. Pete R had a good July too and received the Year book prize as the next deserved winner. As you’d expect over summer there were some huge rides, several over 1000km. In the Audax world one such event was the gruelling Mile Pennines, a great bunch of YCC riders Paul Dytham, Shell, Steve Ferry, Jamie Andrews Mike Kelly Alex Bend, Marcus JB and Adama watkins, did battle with the weather and Northern hills. Another was the highlands and Islands where Jack, Ricki Goode, David Hann and Dan Rough has differeing success in the cold wet Scottish hills while the rest of the UK basked in warm sunshine. Steve Abraham meanwhile did the national 24 hour TT with a credible 457 miles. The Dulwich Dynamo had a huge turnout with some riders completing the return as a loop, but a 6pm start time kills double ton aspirations. There was off road fun too, Jason Miles did the Salzkammergut Trophy a tough Austria off road Enduro with 7.900 metres of climbing in 200km, truly epic. Dave Barter (the generous doner of our prize book “The Year”) did an established off road classic, the Trans Cambrian Way. His story of the ride here is written in his superbly funny style and well worth a read. The table tells a story, August started for several of our YCC clan with the Transcontinental race from Belgium to Turkey. These mile-eaters lead the way with Paul stealing the book prize in the end with a 4 ton round trip to the Isle of Man, so he recovered well. 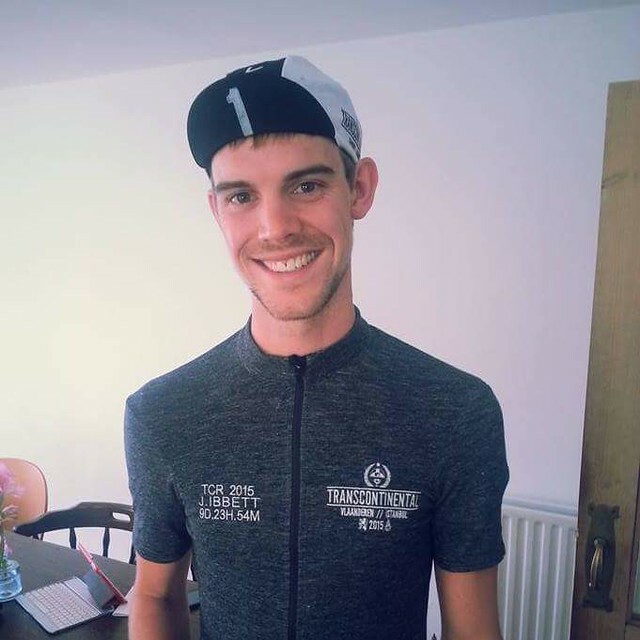 JJD grabbed his tons in just two Monster rides, one a lap of Iceland, the other a London-Edinburgh-London loop of his own, he hopes to race to Turkey next year. Kajsa continues on her year record and returns from her Scandinavian adventure riding North in the UK heatwave, the red arrows even help her celebrate on day 231 when she passes 20,000 miles so far in 2016. Steve Abraham shows some speed doing 237 miles at 18mph, outstanding, what’s he preparing for: From September 2nd he is going for the month mileage record. Now as his target is 7000 miles, it’s very likely that he could post 60 tons for next month alone! The off road big rides keep coming; George Cordal rode the lumpy South Downs Way in one hit, but MiniPips keeps blowing us away. Tour de France off road then back to school, amazing picture blog story here. Kudos also going to Alex Hamilton for his 24 Challenge, and Luke Dutton for the Newcastle to London non-stop challenge. This entry was posted in Audax, TCR News, YCC and tagged one year TT, TCR, The Year. Training for the TCR or just love adventurous long rides? Valleycat from the TCR organising crew is back after it’s inaugural test event last year, and is awaiting entries. Valleycat CC has a new website for all the details and the facebook page will give you an idea of event 1 with photos. “This time we’re going right in deeper to mid-Wales, 15 miles from Aberystwyth to be exact, for a whole weekend of controls bagging across around 350km. Controls will be announced Friday night at Tymawr farm and riders will have all weekend to visit. Go chase those clocks in the land without vowels. This entry was posted in News, TCR News and tagged valleycat, Wales. Whether or not your lucky enough to get the TCR2016 golden ticket, or even considering the event for the future, you might want to test yourself in preparation. One rider Michael Adams has decided to perform/organise 3 specific test rides for the upcoming Transcontinental 2016 in form of 3 individual events that make up the Trans-Country-Training-Ride. The best way to find out all the details is to read the proposed events manual which is pretty comprehensive. It could be a great adventure and a superb tester for any future “Trans” racer. There is no substitute for long days riding and navigating in another country to find out what works for you. Do it! This entry was posted in News, TCR News and tagged Its not a race. Have you got any more to add, leave a comment below. This entry was posted in TCR News and tagged photos, TCR3, video. DNF – Riders Scratched – Day-Mileage-country reached with reasons to help future competitors. This entry was posted in TCR News and tagged results, TCR3.